StudioLine Web is the comprehensive solution for professional websites that does not require technical (HTML) knowledge. 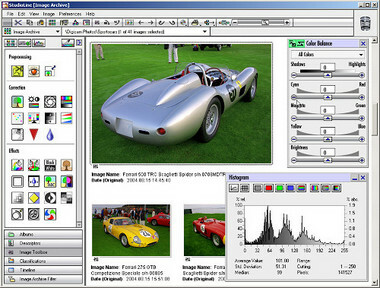 It integrates all applications for creating, publishing and updating in a single user interface - including image management and editing with over 30 image tools. The page editor is as easy as desktop publishing. Images and text can be placed freely on a page or layered on top of one another. Roll-over effects are created automatically, even for layered objects. A layout editor manages common objects and guarantees consistent appearance. Automatic image detail windows and ready-made web galleries simplify photo publishing. Built-in FTP publishing tracks pending changes and makes sure that updates are received successfully on the web server.